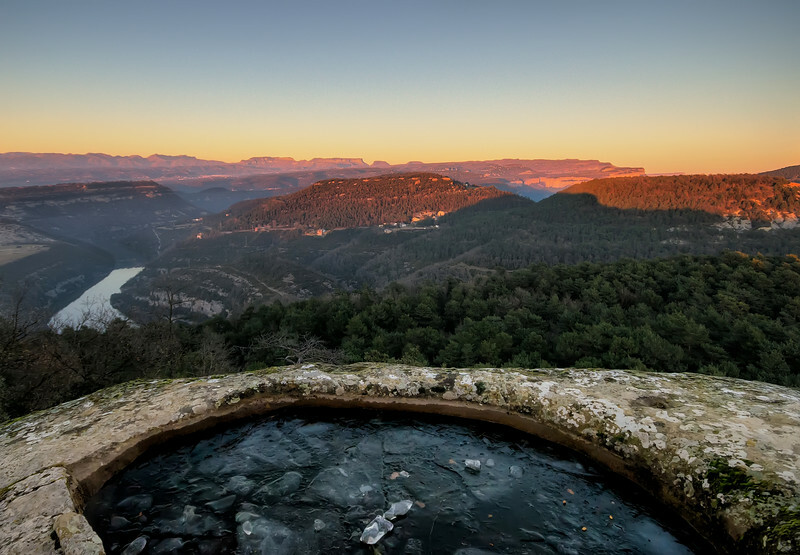 This never ending beautiful view was captured in Catalonia, about an hour from a city called Vic. It wasn't really cold that day, but for whatever reason, on the top of a little hill, the water was just frozen. Loved it!